I met Murray Clements a few weeks back when checking out the Anaconda screening plant his company had hired. 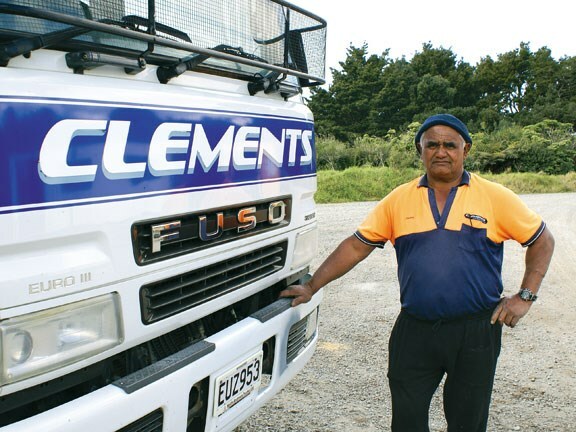 With Clements Contracting being based on the Tutukaka coast, just north of Whangarei, I was interested in finding out what they were up to besides screening soil. During our fairly brief chat, my ears pricked up when Murray mentioned that as well as being contractors, they also operated a quarry, so I promised to return for a tour around the Clements empire. Starting like many rural based contractors, Clements were (and still are) farmers. They hold a sizeable chunk of land, upwards of a couple of thousand acres is my estimation. The farms are run by Murray’s father and brother with the contracting as a separate entity controlled by Murray and his wife Sandra, who he reckons is the brains behind the brawn. Their original machine was an International BTD6 used for work on their farms. 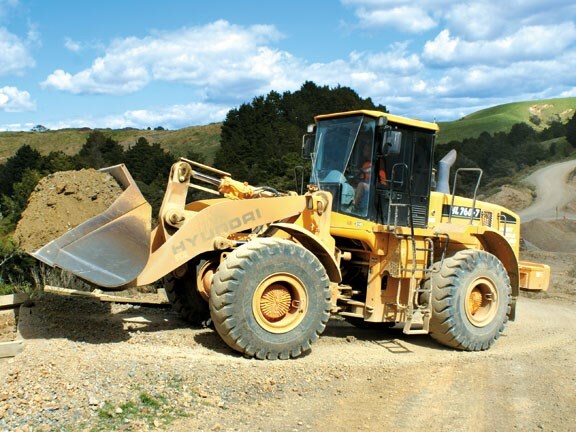 Expanding with the coast and a good reputation, their fleet now includes five trucks and trailers, eight excavators as well as rollers, graders and ancillary equipment which are kept moving under the watchful eye of transport manager Wayne Hughes. Regular maintenance of the equipment is high on the agenda and will ensure workshop manager Rex Halliwell always has something to do. Sitting in a small valley below Clements HQ is their quarry, which currently looks to be around 20 acres in size. Murray tells me that there are two seams of Greywacke - one hard and the other softer - which run along the base of the existing pit. 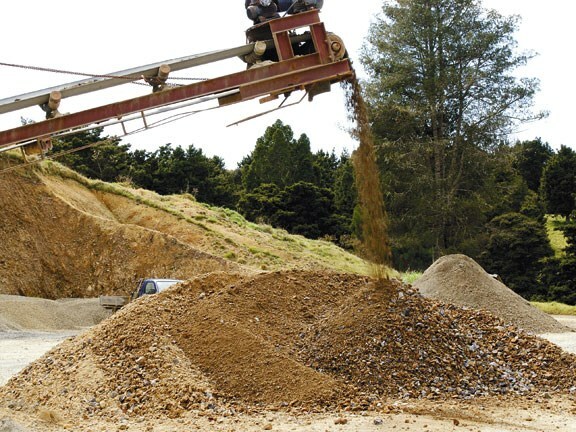 Once extracted, the raw material is carted up a short slope to the crushing plant. Running a 24x14 Universal Jaw, the 65mm product is further processed through a single deck 40mm screen with the oversize dumping into a hammermill and closed circuited. When running up drainage aggregate, the hammermill is bypassed allowing a clean product to be created. The plant can be further adjusted to make the other products that Clements sells which include virtually everything with the exception of sealing chip. Read the full story in the November issue of Deals On Wheels, on sale now.